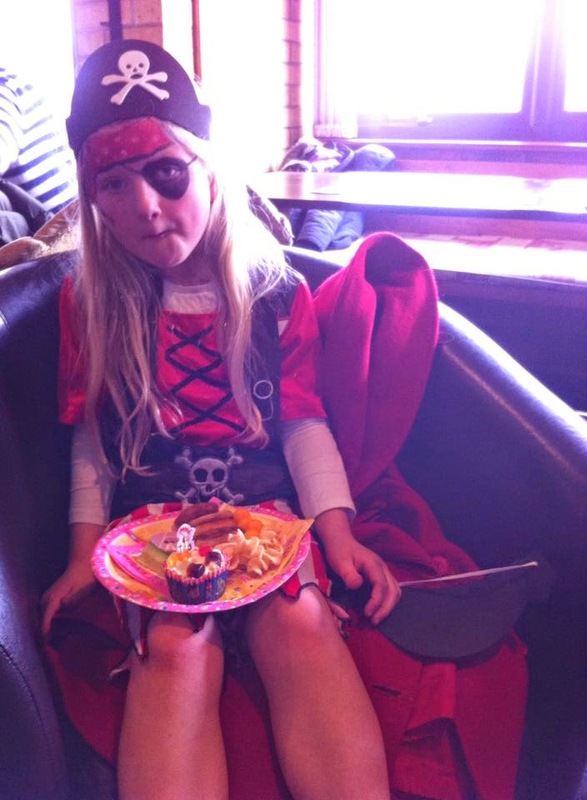 The Sweepeas were invited to a fantastic "Pirate and Princess" party this afternoon. They were ready by 10am (yes, 4 hours early!) and were absolutely bouncing off the walls with the anticipation of the event. 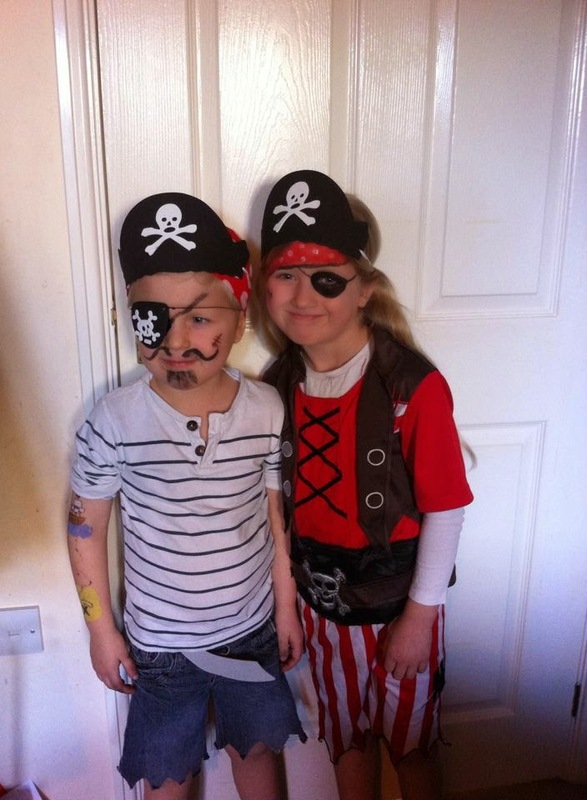 They needed to go in fancy dress and both decided that they wanted to be pirates. 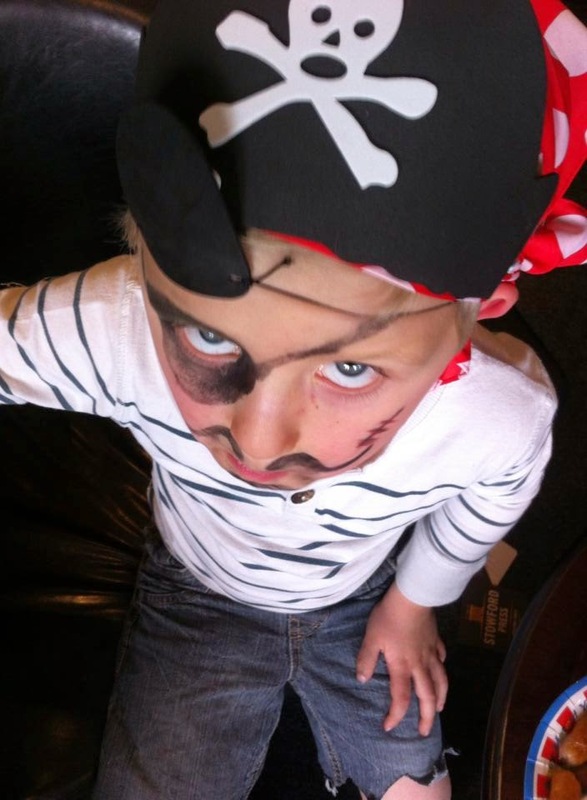 As you can see, we had a go with the facepaint win again. I had to take a photograph of the cakes too. 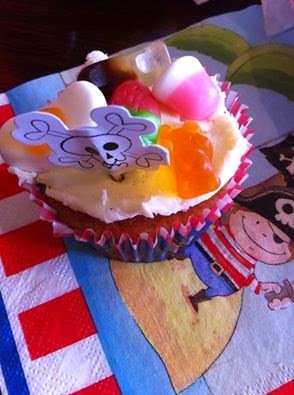 They tasted so yummy so I have requested the recipe so that I can give them a go in the future. 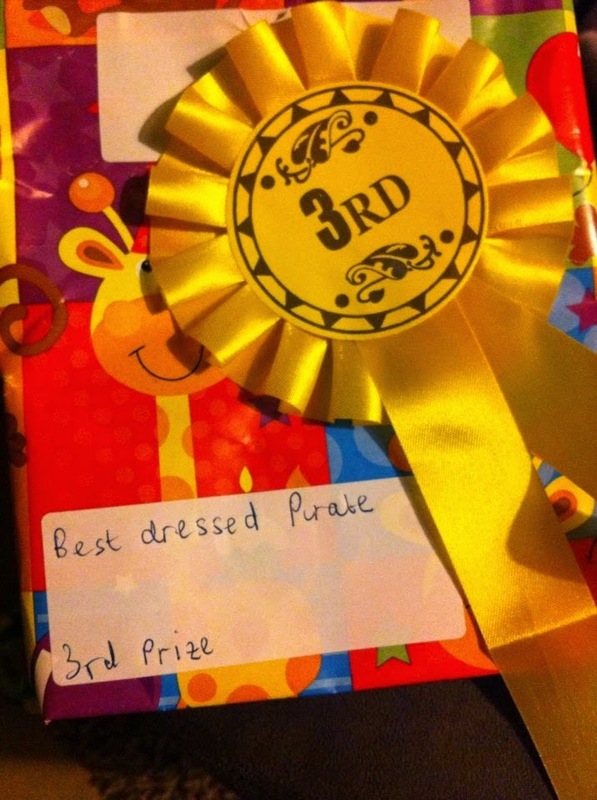 Alyssa was very pleased to be awarded 3rd place by the birthday boy too.